Our Leadership Team has accrued vast experience across every part of the healthcare sector. They have been working together successfully for the past 20 years. Dara has spent over 20 years working in senior finance positions within the medical device and pharmaceutical sectors. Progressing from financial control to directorship responsibilities, Dara has been a director of the Pharmed Group since 2007. Dara is also a fellow of the Institute of Chartered Accountants in Ireland and a past treasurer of the Pharmaceutical Managers Institute (PMI). Bethann has over 20 years’ experience in the Pharmaceutical industry, and joined the Pharmed Group in 2006 as Commercial Director. Prior to this, she was Sales Director for Intrapharma, responsible for sales, marketing, and managing primary and secondary care and pharmacy teams. She was also Business Development Manager for Ashfield Healthcare. Bethann is a qualified Pharmaceutical Technician from TCD and is currently the Education Officer for the PMI. 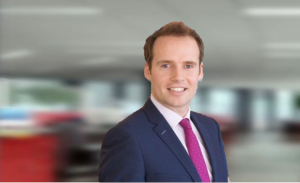 Peadar brings vast experience from both Pharma and Contracting Sales Outsourcing and has a wealth of experience in sales and marketing of ethical products across both Ireland and Europe. Prior to this, Peadar was Business Development Director with Ashfield in Ireland, and held various sales and marketing roles within Wyeth Pharmaceuticals. Peadar holds a Master’s in marketing from Smurfit Business School and a diploma in Pharmaceutical Management. Shirley joined Pharmaforce in March 2017 as Commercial Manager, having over 15 years experience in Marketing, Sales and HR. Prior to joining Pharmaforce, Shirley spent over 5 years as Marketing Manager for Innocoll, a specialty global Pharmaceutical and Medical Devices company, and was part of the team that lead the company through the IPO. Prior to this she worked in HR Department of the Central Bank of Ireland.